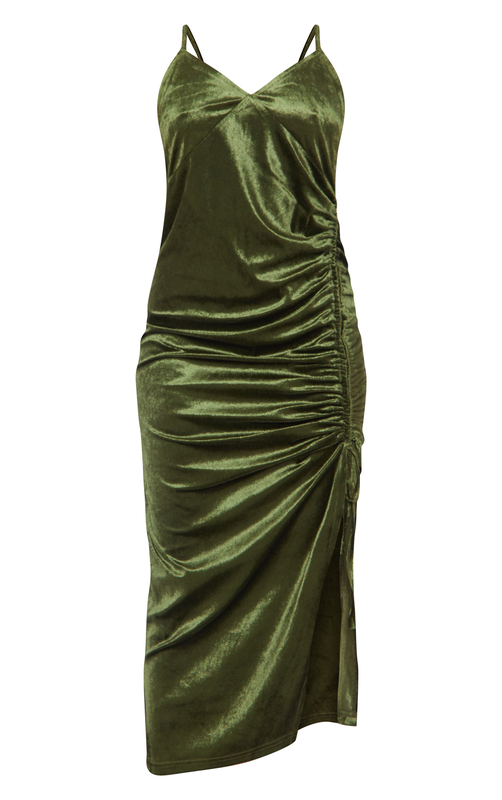 Add some emerald green to your wardrobe this season with this dress. 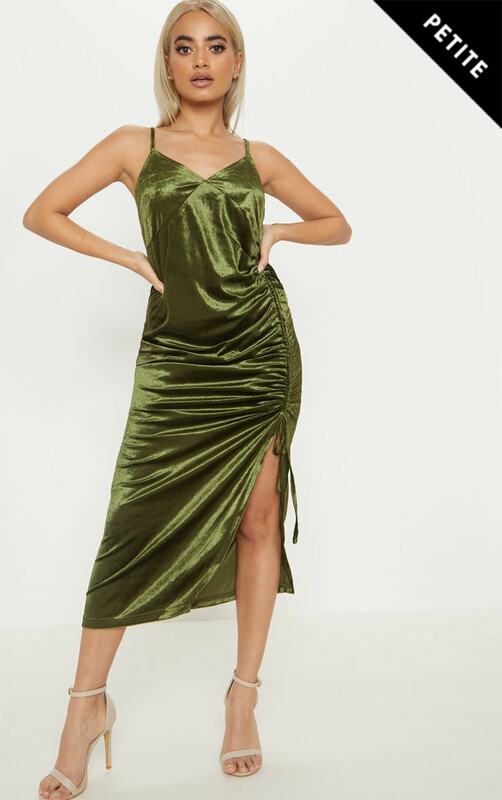 Featuring a velvet fabric and a ruched drawstring detail on the side. We love this styled with gold strap heels and a cute clutch for luxe weekend vibes.